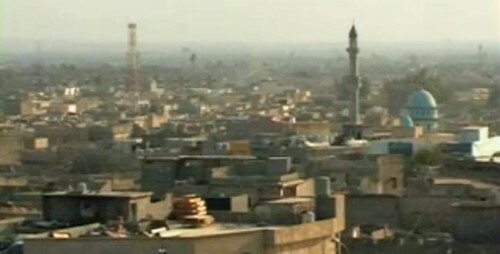 Iraqi Kurdistan has claimed the key city of Kirkuk in northern Iraq. Kirkuk, a leading center for Iraq’s oil industry, has an Arab, Kurdish, and Turkish population. The central Government in Baghdad has refused to consider Kurdish control. However, after the collapse of Iraqi forces in Mosul almost three weeks ago, Kurdish peshmerga forces moved into Kirkuk to prevent an insurgent entry into the city. Insurgents attacked an army camp east of Jurf al-Sakhar, 85 km (53 miles) south of Baghdad, on Saturday with mortars and RPGs. Three police sources said at least 60 fighters from the Islamic State of Iraq and as-Sham were killed, along with more than 15 Iraqi security forces. “The ISIS terrorists fired many mortars at the camp and then started their offensive. They managed to break into the camp but could not hold their positions due to army helicopters’ cover,” a police colonel said. Iraqi ground forces have launched an offensive on Tikrit, lost to insurgents more than two weeks ago. The troops moved north from Samarra, following the dropping of special forces inside Tikrit on Thursday. Snipers have taken positions on rooftops at Tikrit University, and helicopters attacked today as other troops were air-dropped north of the city. Iraqi military spokesman General Qassim Atta claimed 29 insurgents were killed on Friday and opposition commanders were struggling because “their morale has started to collapse”. ISIS also said that any company in Arab countries which employs Americans is a legitimate target and that Governments who allow US aircraft to use their territory will “bear the consequences”. The Chairman of the US Joint Chiefs of Staff, General Martin Dempsey, has left open the idea of cooperation with Iran while remaining cautious. We will look at Iran with a cold eye on where and when we may need to operate in the same space and toward what is potentially the same goal of countering (the insurgency). I can state with some assurance that their goals in Iraq are not going to be completely aligned with ours, and we’re very clear about that. I’m not predicting that it’s entirely impossible that we would at any point act collaboratively with Iran. But there’s a long way to go between here and there, in my judgment.